UNITED NATIONS, February 26 -- After Sudan's President al Bashir cut a deal with the Justice and Equality Movement rebels, then began bombing the remaining SLA rebels in South Darfurf, messages of congratulations kept on rolling in. UN Secretary General Ban Ki-moon welcomed, through his spokesman, the JEM and Bashir deal. 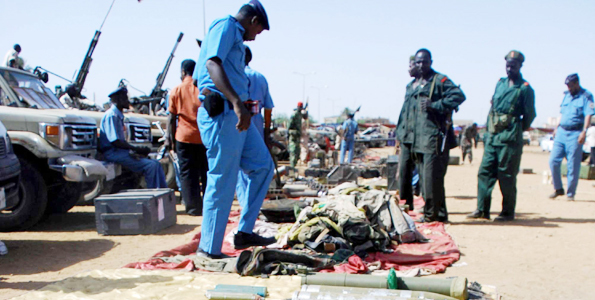 Inner City Press asked, but what about the bombs continuing to fall upon Darfur? Ban's spokesman had no comment. Inner City Press asked a permanent five Security Council Ambassador, do you think the deal's a scam? The response first dealt with Chad and Sudan, the Deby - Bashir peace deal that preceded the JEM deal. Maybe they both realized it was in their interest to stop fighting, the Permanent Representative said. Both are facing elections, Bashir in April and Deby after that. But why is Deby moving to throw out the UN mission? Deby "never wanted it," the Ambassador explained. 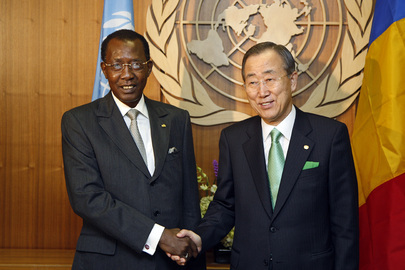 Deby took offense when it was suggested he wanted the UN out before he cooked his upcoming election. "MINURCAT has no election watching mandate," Deby pointed out, as did his UN Ambassador Allam-mi. A skeptic noted that even if it did, just like Hamid Karzai, Deby need not worry. Top UN Peacekeeper, Frenchman Alain Le Roy, is in Chad meeting with Deby. The P-5 Ambassador said it cannot be all or nothing. The Mission was supposed to leave in March 2011 anyway, the Perm Rep argued. What we want is an organized withdrawal, say in nine months instead of three. And Deby takes over all the infrastructure built there? But of course. Inner City Press has been told, during the hand over from the European Union to the UN, that France asked the UN to "indemnify" it for pollution it caused, in Abeche and elsewhere. What is the purpose of the UN and its blanket immunity, but to further shield of the P-5 from their own pollution? The UN did quietly agree to pay for much of what it used for its mission in Eastern Chad. Watch this site.